Since it’s inception in 2007, the California Sea Otter Fund has provided critical support for sea otter research and conservation. The Fund has raised over $3 million through the generous and continued support of otter-loving Californians. 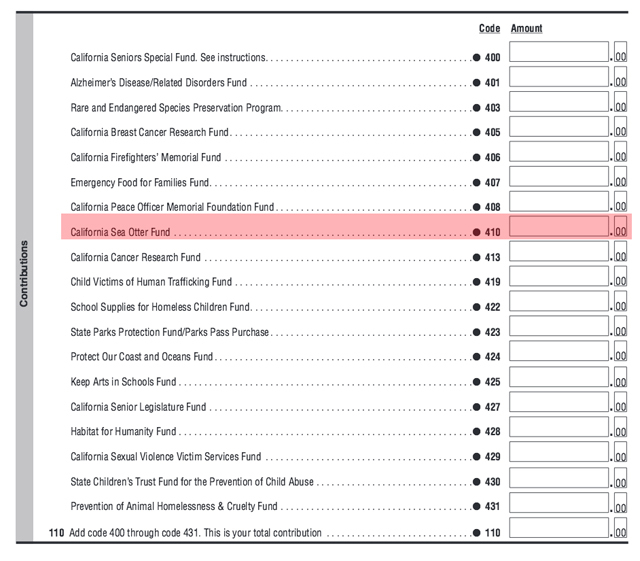 Each year the Fund must meet a target goal in order to stay on the tax form the following year so please consider making a tax-deductible donation to the California Sea Otter Fund when you file your state income taxes, even if it’s a small amount. The money raised goes to the California Department of Fish and Wildlife and California Coastal Conservancy to fund research focusing on what’s threatening sea otter population recovery, public outreach and education, and ongoing investigations into sea otter harassment. 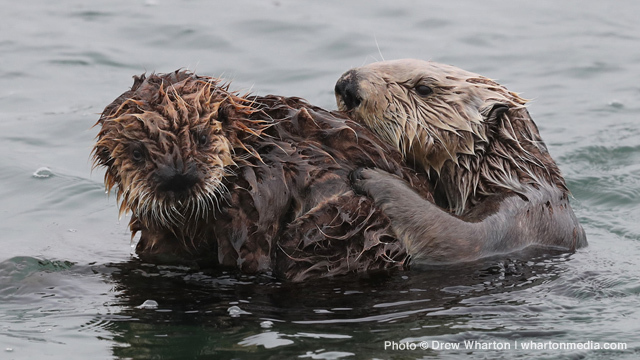 With only 3,000 southern sea otters left in the wild today, every dollar counts! California’s southern sea otter has been listed as a threatened species under the Endangered Species Act since 1977. 40 years later and counting, their conservation status remains unchanged and their future remains uncertain. Despite decades of protection, the southern sea otter population’s growth has stalled and the species shows few signs of recovery. Recent studies have shown that high mortality rates among prime-aged adult animals are the underlying cause for the population’s stagnant growth and disturbingly low numbers. Scientists attribute up to 40 percent of southern sea otter mortality to infectious diseases alone, many of which are known to have anthropogenic (human) causes and land-sea linkages. White sharks (now the leading cause of southern sea otter mortality), pathogens and parasites, food limitation, nutritional deficiencies, habitat degradation, coastal pollutants and contaminant exposure are among many of the contributing factors threatening the recovery of the species. And the risk of a major oil spill remains a serious threat. So, please remember sea otters when you file your taxes and enter a donation on line 410 on Form 540. The sea otters will thank you!